Post subject: Roberts or not? First post here, so please be gentle. I have recently come into possession of a touring type bike. The decals on the frame say that it is a Roberts with 531 tubing (handbuilt). 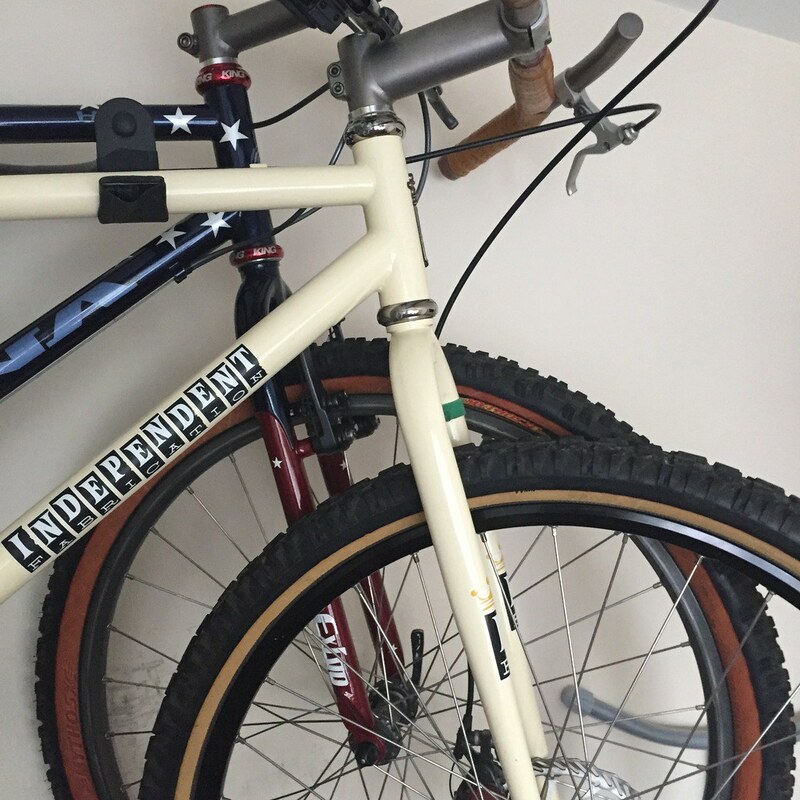 The Roberts decals are the only identifiers on the frame, along with a 6 digit frame number on the bottom bracket and fork stem that follows the format for a 1995 bike (951242). Having spent time trying to identify the bike, I believe that if it was a Roberts that the frame would be stamped somewhere with an R, or Roberts, or the logo embossed on the frame - it has none of these and I know how easy it would be to just get decals and put them on to deceive someone. I have found images of Roberts bikes with same/similar head tube lugs from 1988 and 1994 and the cable guides look similar, however, the frame is also lacking the bosses for the downtube gear levers that I have seen on every Roberts bike so far. The bottom bracket has Everest stamped on it - I know this to be a make of BB, did Roberts ever use Everest BBs? The frame has has a bit of a hard life with a few dents here and there that I have managed to remove - bike now needs a respray. It also has some nice components on and I do intend to rebuild the bike, replace necessary components and use it, but do I rebuild it as a Roberts and put new decals on it or just leave it blank if it's not a Roberts? Hopefully some experts will be along to give me an indication as to what the frame is. Post subject: Re: Roberts or not? Hey welcome to Retro Bike ! The serial number is consistent with all Roberts I’ve seen. Not all have the stamps either. Of my 4, only 2 are stamped with Roberts. Where Roberts (road frames) are concerned I have a fair bit of knowledge: I've contributed to articles on Roberts and am currently writing a piece on their early period. Not all Roberts frames have the cast R either on the fork crown or seat stay caps - or a Roberts script on top of the bb. A six digit frame number is consistent but still doesn't mean it is a Roberts. I have a Roberts tourer with no cast Rs etc, but it is easily identified as one. Black frames aren't great in photos but some close ups would help. Roberts occasionally built stock frames (and for the trade) but most were built for customers so there's no standard specification. N.B I have 5 Roberts frames & 2 Roberts built Geoffrey Butler frames. Thanks for the replies. I have attached a few more photos - black isn't easy to take photos of either. I have stripped most of the components off the frame now and have been working on removing the dents in the frame and then silver solder filling the remaining slight indents. The chunky stays and lugs tell me one thing, and the number on the bb doesn't look like the Roberts die. Thanks for the reply. I think the camera perspective maybe makes it seem chunky; looking at other photos both the lugs and the stays don't appear to be chunkier than any others I've seen, nor any lugged bikes I've seen in the flesh. Tonight I have managed to find further pictures of different Roberts bikes with the same lugs, one with the same fork crown and a lightweight/audax with virtually identical stays.